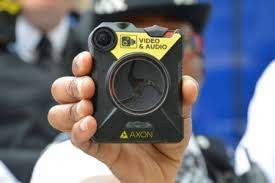 The East Midlands Strategic Commercial Unit (EMSCU) is setting out to establish a major procurement framework across the public sector for body worn video (BWV) devices and an associated DEAMS (Digital Evidence and Asset Management Software) application. EMSCU tender documents detailing the framework, issued on behalf of Nottinghamshire Police, are due to be made available from today for three lots on the EU Supply Bluelight procurement network. The first lot is for the devices themselves. Lot 2 covers the DEAMS solution, with Lot 3 covering an integrated BWV devices and DEAMS solution. Estimated values for the lots are £45m for Lot 1, £27m for Lot 2 and £18m for Lot 3, though these potential values may need to be scaled back if the framework gets more limited traction. The dynamic purchasing system framework is due to run for an initial four year period, with two possible single year extensions from January 14 next year. The Nottinghamshire Police and Crime Commissioner, in launching the framework, said the three lots had been established with the goal of attracting a wide range and varied supply base for UK police forces, police and crime commissioners and wider UK public sector bodies, including central government departments and agencies, NHS bodies and local authorities. Discussing the Lot 2 DEAMS software solution, the tender indicated that the software solution could be delivered either via the cloud, as an on premise solution, or as a combination of the two. It added that the solution where required can include ongoing support, management and maintenance. The tender said it expected software provided under the dynamic purchasing system to be “off the shelf” and not bespoke, the tender said.